Stay in Salento's best hotels! Located in Lecce, within 1640 feet of Piazza Sant'Oronzo and 2953 feet of Piazza Mazzini, Palazzo de Noha features accommodations with a terrace and free WiFi. It was surprising to find such a comfortable and elegant hotel. It's far exceeded what we expected. Everything was perfect. Featuring a terrace, I Bastioni San Domenico is located in Gallipoli, 2.9 miles from Baia Verde Beach. Offering a shared lounge, the property is located within 4 miles of Rivabella Beach. Beautiful boutique hotel located along the sea wall of the old city. Can’t beat the location, perfect for watching the gorgeous sunsets and walking around the old town. Loved the mix of old and new throughout the hotel. Breakfast was so delicious and great variety, served with amazing views in the restaurant across the street. I wish I knew the name of the concierge who was working everyday throughout our stay, she was the best! She arranged a wine tasting and helped us with restaurant recommendations and much more, always eager to help out. One of my favourite hotel stays in a wonderful town! Offering a seasonal outdoor pool, Masseria Mongiò dell'Elefante is located in Otranto in the Apulia Region. The resort has a terrace and views of the garden, and guests can enjoy a drink at the bar. This property is amid the orchards and farm land a five minute walk from a beach on the Adriatic. It is beautiful, quiet and peaceful. Our room in the original farmhouse had all been redone. It was large and very comfortable. The breakfast offered everything you could imagine including fresh orange juice and freshly preferred eggs. Dinner in the hotel restaurant featured fish and regional dishes that were very good and you still felt good after you finished. My husband wondered about why olives were not served on the table and the next dinner had olives. The beach is beautiful and the pool is the best I've ever used. Very large for swimmers. All of the staff at the property went out of there way to make use comfortable. We highly recommend this beautiful stay in Otranto! Offering free WiFi throughout the property, a sun terrace with a swimming pool and a garden, Grand Hotel Riviera - CDSHotels is located in Santa Maria al Bagno. Reception staff - my applause. Location, room - excellent! Offering an outdoor pool, a bar and a restaurant, La Fiermontina Urban Resort is located in the center of Lecce, in the Apulia Region. Beautiful accommodations, great location, warm and responsive service. Gorgeous garden and pool with sculptures, olive trees and charming and creative lighting. Hotel Montecallini is located in San Gregorio, 1.9 mi from Santa Maria di Leuca. It offers free parking, a pool, and air-conditioned rooms with satellite TV, mini-bar and private bathroom. We were amazed at the value/quality of the resort. Corte Dei Francesi is set in Maglie, in the heart of Salento. Once a leather workshop, it features a pretty courtyard from the 16th century. Everything perfect in all its aspects. Just a 15-minute drive from Otranto, Sanlu Hotel is in Serrano just off state road SP48. It offers free indoor parking, free Wi-Fi and brunch served until 12:00. Good breakfast selection, quiet neighbourhood, clean rooms, underground garage. 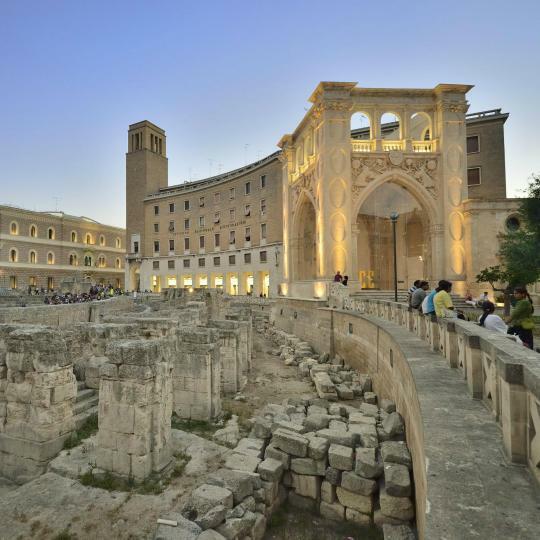 Patria Palace Lecce provides first-class luxury and service in the heart of Lecce, next to the Basilica of Santa Croce and a few steps from the Roman amphitheater. This hotel is so central its difficult to locate. Hotel Belsito in San Pietro in Bevagna features 4-star accommodations with a garden. Providing a restaurant, the property also has a shared lounge. Guests can have a drink at the bar. Featuring a garden and a shared lounge, Dimora Sant'Anna is located in Carovigno. Free WiFi is included. At the hotel, the rooms include a closet. Located in Sannicola, Casale Donna Rosa has a seasonal outdoor swimming pool, a garden and a terrace. Free WiFi is offered. Guest rooms in the hotel are equipped with a flat-screen TV. Very nice and clean house. A quiet location perfect to visit all sites around. ViaMonti Hotel is located in Racale and features a terrace. Featuring a 24-hour front desk, this property also provides guests with a restaurant. Vinilia Wine Resort in Manduria provides accommodations with a seasonal outdoor swimming pool, a garden and a terrace. Everything. The staff were amazing, all service impeccable, nothing was too difficult for them. La Dolce Vita is located in Morciano di Leuca, 2.5 mi from the Ionian Coast. Guests can enjoy the on-site bar. Every room at this hotel is air conditioned and features a TV. Located in Salice Salentino, Hotel Villa Leuzzi provides free bikes and garden. With a terrace, the property also has a shared lounge. This was one of the best hotel experiences of my life. Located 1640 feet from the sandy beach of Porto Cesareo and a 10-minute walk from the city’s center, Qui Hotel features a restaurant and a terrace. It offers modern rooms with free Wi-Fi. It is a modern hotel. The staff are very helpful. Shaded parking is available on site. Centrally located in Tricase, Callistos Hotel has a garden and a sun terrace with sun loungers. It offers free Wi-Fi and air-conditioned accommodations with a furnished balcony. Set on the beachfront of Torre Mozza, Hotel I Colori Del Mare is on the Southern part of the Puglia coastline. It offers fre Wi-Fi throughout, a seafood restaurant and a bar. Set in a 17th-century farmhouse, Masseria Ruri Pulcra offers air-conditioned rooms with free Wi-Fi. It features a garden, restaurant and sun terrace, and Patù is a 5-minute drive away. Very nice building, nice and comfortable rooms, very good restaurant. Awesome breakfast!! The coast of Salento is speckled with numerous fascinating watchtowers, originally built in the 16th century to fend off pirates. Visit one of the many cafés in Lecce’s Piazza Sant’Oronzo and relish this scrumptious mix of rustic pastry and creamy custard. Surrounded by a pine forest, the crystal-clear waters, fine sand and stunning views of historic Gallipoli make this beach a perfect paradise. 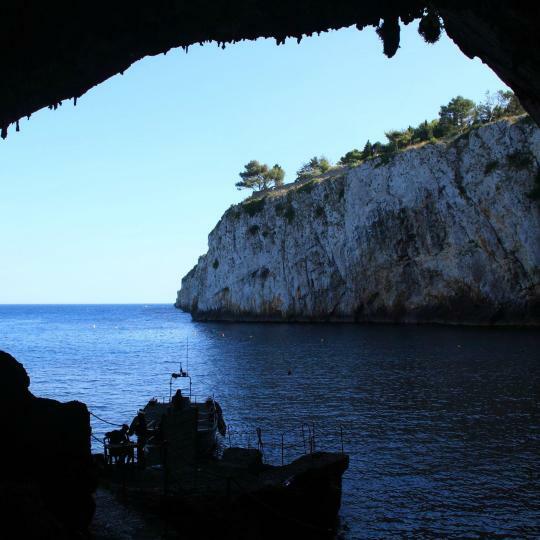 Head to Castro on the Adriatic coast and take a boat tour on crystal-clear waters to visit these 2 picturesque caves. Spent two days with my fiance and with a couple of friends. The location of the resort is absolutely outstanding, deep into the Salento region. I enjoiyed the sun and the sea breeze from my room and the form the pool, which is overlooking the coast. Had a tasting menu of hot pepper/jalapenos as per south Italy tradition and a couple of high quality meal based on fresh fish. The owners were there caring and looking after their guests, an absolute plus for their kindness and of course for the fact that guests can be demanding. Big thank you to all staff members, extremely kind, helpful and willing to accommodate all your necessities! The restaurant is high end and offers local produce too. Interesting activities every evening (olive oil tasting, traditional music players, etc) and nice tips given on what to do in the surroundings. 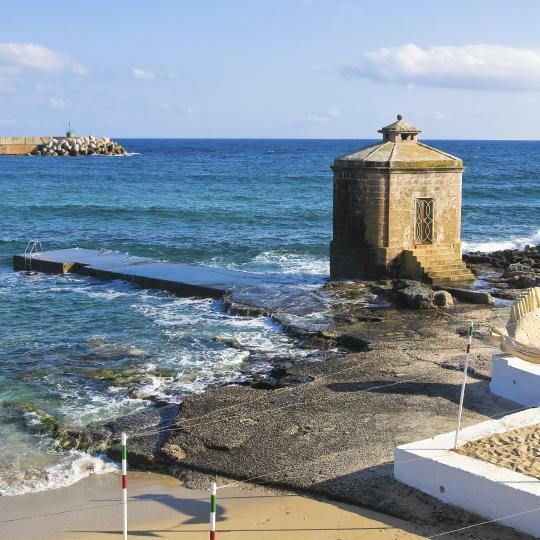 Location is good, in the midst of nature but still close to the beautiful beaches of Salento and its charming towns, like Castro. Very cozy atmosphere. We want to come back! Luca takes great care to ensure his guests are comfortable and have what they need. He was very responsive and incredibly helpful to us. Above and beyond what we could possibly have expected. He has renovated with excellent taste and with respect for the history of the property. We had the two rooms in the main house, which unexpectedly included a huge sitting area and use of a kitchen. Really, it's a very cute property, typical of the Salento, and a treat to stay at. Wonderful resort situated in a peaceful lane in San Foca. Perfectly manicured gardens surround a pool in the main courtyard, which itself is bordered by olive orchards from adjacent properties. 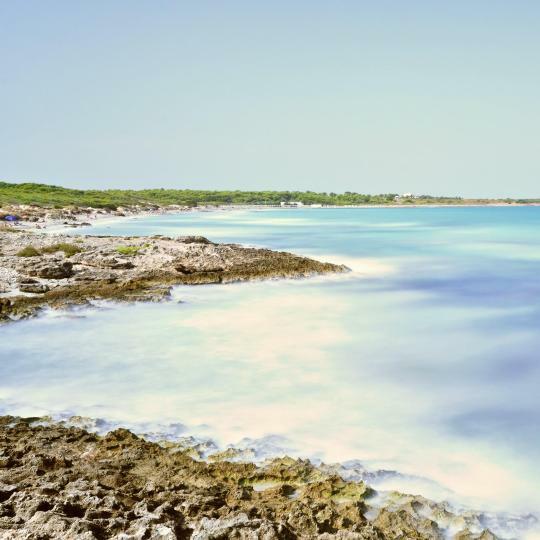 The location is also optimal, just a 5-minute drive from La Grotta della Poesia and Torre Dell'Orso, some of Salento's most iconic coastline destinations. The staff were wonderful and gladly accommodated our every request. We will definitely be back! Gianni is such a perfect host. He greeted us with a big warm and welcome smile - plus sparkling wine from the region and a view of Lecce from the rooftop. The location is the best possible right in the middle of beautiful Lecce. We even had a beautiful view of the city. Perfect spot, perfect place and perfect host. Don’t forget to ask him for h best tips - Lecce and the beaches of gorgeous Salento. Grazie mille ❤️!!! We walked to the point along a rocky coast trail to a lovely cave. We also walked the other way to the waterfront promenade and to the 'town'. Very good location to park and explore the area by foot. The next day it was an easy drive up the Ionian coast to the lovely 'Maldives of Salento' beach. The homemade breakfast was great and they were very friendly hosts. Our host was most hospitable, friendly, helpful! Accommodations were great. We had a charming house to ourselves with modern amenities and info about where to eat, etc., within Oria's Centro Historico. All in all, great value in a beautiful city and with close proximity to some of the very best beaches and historic points of interest in the Salento of southern Italy!!! We enjoyed our stay at Lido Marini. The location of the apartment is great, it is within walking distance to the beach and the main street, where you can find a supermarket, fish store, bakery, etc. It is also close to other attractions by driving. The host is very responsive and informative. Overall, we had a wonderful time at Lido Marini - Salento 4+1. This was a well-designed resort, 10 minutes walk to downtown Otranto, the old city, and waterfront. Our rooms were clean and comfortable. We especially liked the different qualities of pillow and bedding on the bed. When we were tired of exploring this region of the Salento, we came back and relaxed by the lovely pool. A beautiful coastal Villa, well appointed rooms within a great architectural Edwardian showpiece villa affording amazing panoramic view over the bay and south towards the hilltop Castro town and beyond to the peninsula of Salento. Breakfast or your own bottle of wine at dusk on the terrace is enchanting. The room is very bright, welcoming and elegant. The historic building is in the exact center of the old town, a short walk from Santa Croce and Piazza Sant'Oronzo. The owner is friendly and can provide valuable informations about the city and the main Salento resorts. I will come back for sure. The hotel and staff were fabulous and we highly recommend this location for your stay in Lecce - a great city! We received a lovely suite and fantastic advice to explore Salento. The staff was extremely friendly and served lovely breakfast in a beautiful courtyard. Very stylish. Tastefully refurbished studio in the old town of Galatina. Very friendly owner and excellent value for money. We were able to park our car close to the studio. Galatina is a charming town in itself and conveniently located for exploring Salento. The host could not have been nicer and more helpful. They made us feel very welcome. The house is lovely. Newly refurbished traditional Salento building provided every comfort including a large roof top terrace. San Cosimo is a lovely place with an attentive staff that are invested in ensuring you have a positive experience. The setting is beautiful and it's close to a lot of the great seascapes of Salento. The staff was excellent, they went out of their way to help us find a paediatrician during our stay. Food was abundant and delicious! Highly recommended.